East Reading Festival is again in Palmer Park, from 12 until 6pm. on 16th June 2013. East Reading community, young and old and inbetween. 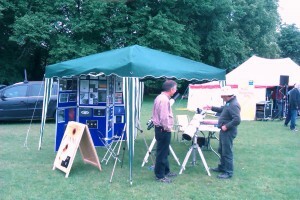 The Reading Astronomical Society will be organising a stall. It was a fun and interesting event last year and important to the society as the location is on our doorstep. For the many children who come, or are brought, to the event it is good to show that science is about hobbies and enjoyment as well as school-work. Let’s hope the sun shines and we can use some of the Baader film and projection skills! This entry was posted by gbond on April 17, 2013 at 14:51, and is filed under Events. Follow any responses to this post through RSS 2.0.You can leave a response or trackback from your own site.